Pustak Ka Vivaran : Hindee mein vistrt aur gambheer nibandh to bahut milate hain, lekin ise nibandho ka bada aabhaav hai, jo aakar mein laghu ho, padhane mein saral subodh ho, par saath he vichaar prerak bhee ho. Is prakaar ke nibandh likhana vaastav mein bada kathin hai. Gaagar mein saagar bharane ke saamaan hai. Hamen harsh hai kee prastut pustak dvara paathakon ko is tarah kee saamagree upalabdh ho rahee hai………….. 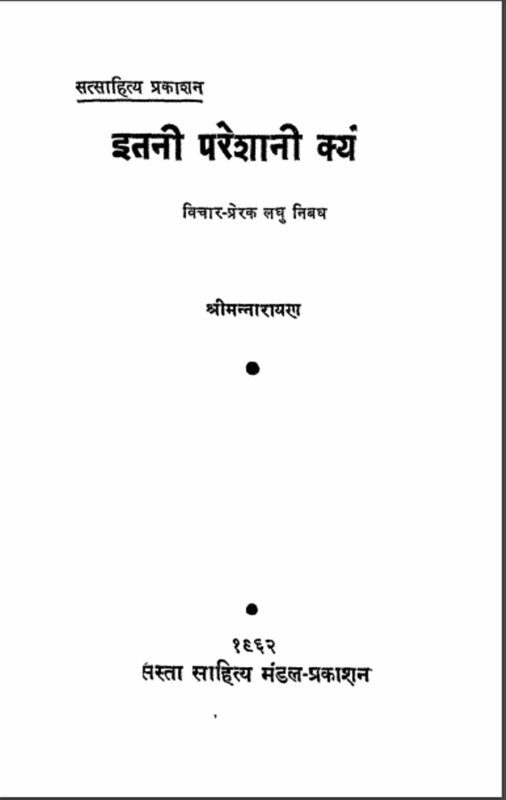 Description about eBook : There is a lot of detailed and serious essays in Hindi, but it is a huge lack of essays, which is small in size, easy to read, but also with thoughts. It is really difficult to write such essays. Garg is the stuff of filling the ocean. We are glad that this kind of material is being provided to the reader by the present book…………….